Howlin' Wolf Records: SIX STRINGS: Plaza Mayor Company Ltd. releases Two Scores in the New Year! Plaza Mayor Company Ltd. releases Two Scores in the New Year! (January 6, 2014– Los Angeles, CA) – International publishing company Plaza Mayor Company, Ltd. is releasing to soundtracks for two Asian productions, composed by Asian-American composer Nathan Wang. THE PATRIOT YUE FEI- Original Soundtrack is currently available digitally via iTunes, and CHINESE ZODIAC – Original Motion Picture Soundtrack, which will be released digitally on January 7, 2014. CHINESE ZODIAC (Chinese: ???? ), also known as Armour of God III: Chinese Zodiac, or CZ12 in the US, and is produced, written, directed by and starring Jackie Chan. It is the sequel to the 1991 film Armour of God II: Operation Condor. 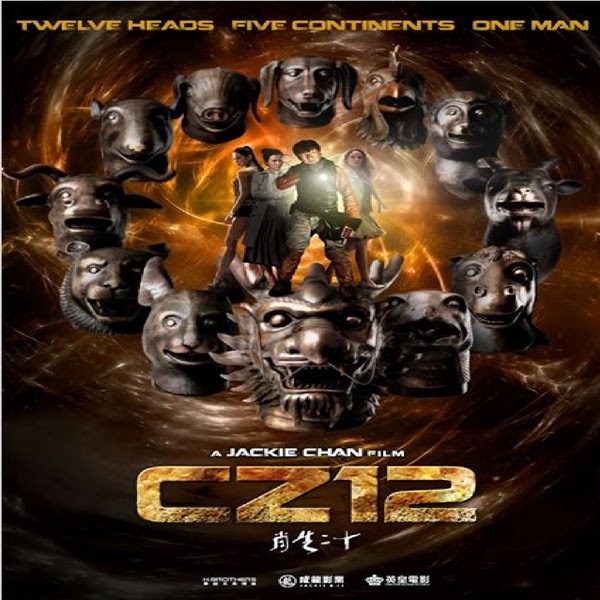 Jackie Chan reprises his role as adventurer and treasure hunter Asian Hawk, who is seeking to repatriate twelve bronze heads of the animals of the Chinese zodiac that were looted from the Old Summer Palace in the Second Opium War. It was a chance meeting while working on CHINESE ZODIAC that led Wang to THE PATRIOT YUE FEI. “I was waiting in the kitchen at the Beijing China Film Group studios for Jackie to come by between shooting his CHINESE ZODIAC scenes to discuss the direction of the music, when instead of Jackie, Stanley Tong walks in! Apparently he heard that I was meeting Jackie, and Stanley, who just arrived from Shanghai, hopped in a car to catch me,” he described. Stanley and Wang go back a long way – back to 1994’s RUMBLE IN THE BRONX. THE PATRIOT YUE FEI is a Chinese television series based on the life of Yue Fei, a Song Dynasty general widely regarded as a patriot and national hero in Chinese culture for his role during the Jurchen campaigns against the Song Dynasty. While the plot is based on historical sources, it also includes elements of fiction and draws ideas from the novel Shuo Yue Quanzhuan(? ???) and other folktales on the general's life. Filming started in 2011. 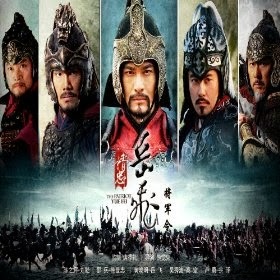 It is the first Chinese historical television series to be broadcast on HBO. Huang Xiaoming stars as the titular character, and the supporting cast includes Gallen Lo, Shao Bing, Yu Rongguang, Allen Ting, Zhou Bin, Steve Yoo, Ruby Lin, and Cecilia Liu. Plaza Mayor Company Ltd., presents THE PATRIOT YUE FEI- Original Soundtrack, currently available digitally, and CHINESE ZODIAC – Original Motion Picture Soundtrack, available digitally on January 7, 2014.